The ingenuity behind the Endless Pools Swim Machine is just the beginning of the many benefits of owning an Endless Pools Fitness Systems. You may have heard others call this a “swim spa,” but we know a fitness system is so much more. For starters, we think the name “swim spa” just doesn’t make sense. You wouldn’t (comfortably) swim in 102 degree water, or lounge in a spa at a modest 85 degrees? This is not a swim spa; it’s a Fitness System with swim and low-impact exercise features designed to complement one another, so that your wellness goals are easily achievable. 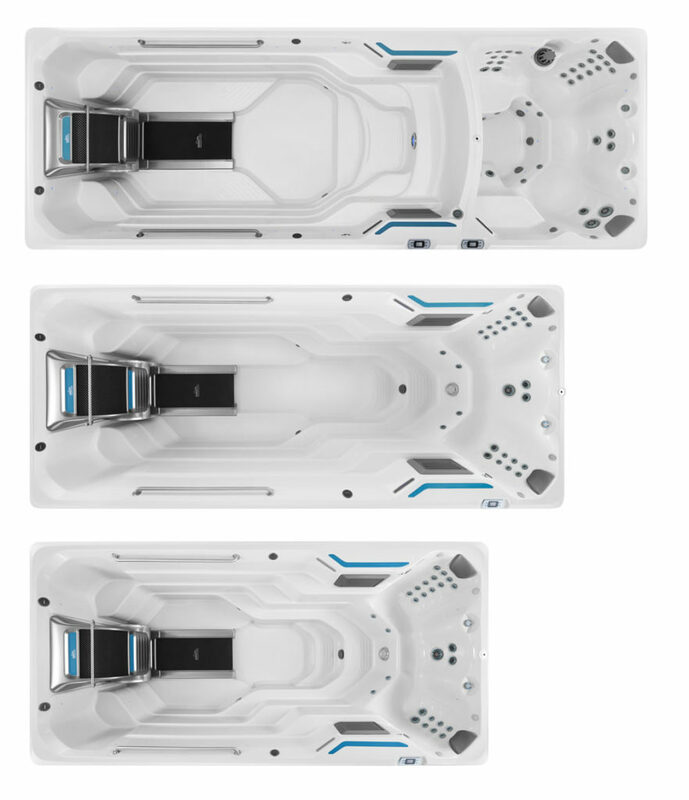 The all-new Endless Pools Fitness Systems combines the revolutionary Endless Pools Swim Machine with optional underwater treadmill, rowing, strength-training exercises and relaxing hydrotherapy. With Endless Pools Fitness Systems you’ll benefit from having a fully functional home wellness system that is convenient to use and beautiful enough to be the centerpiece of your backyard. 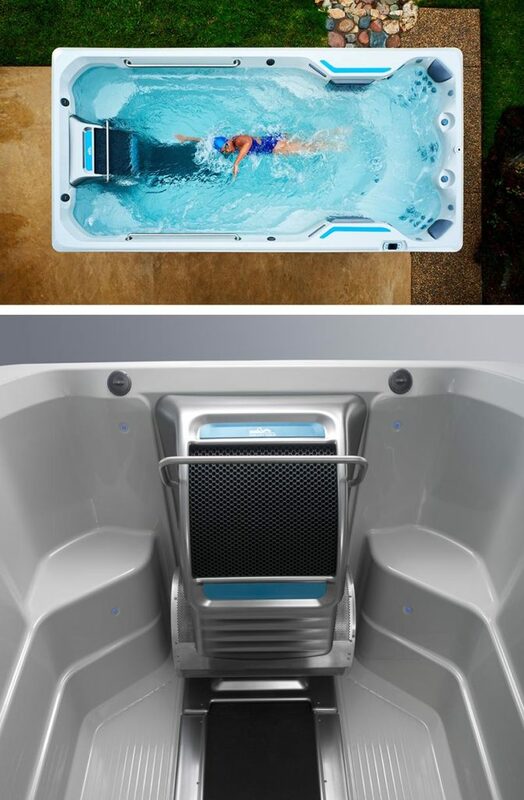 For a superior swim-in-place experience, look no further than the iconic Endless Pools® Swim Machine. Endless Pools uses a custom-made, hydraulically powered propulsion system that creates a laminar current of up to 5,000 gallons per minute (GPM) that is wider than your body and deeper than your stroke. Multiple conditioning grills smooth and redirect the water, resulting in a swim current that is free of turbulence. Even at full power, it feels like swimming in open water. Optional – yet essential – the Endless Pools hydraulically powered underwater treadmill offers low-impact running and walking options for all of the cardiovascular benefits of exertion without the negative side effects often felt with land-based exercise. Vary the treadmill speed for gentle walking or an invigorating run. For a more challenging workout, with the same low-impact benefits, turn on the swim current for increased resistance against core, leg, and upper body muscle groups.